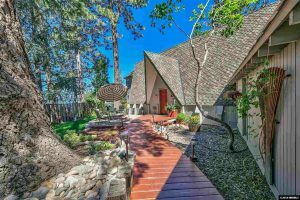 Lake Ridge Tahoe Homes for Sale! Lakeridge is an upscale neighborhood located on the eastern shore of Lake Tahoe and is divided among itself into two sections: upper and lower. Residents relish majestic views of sublime sunsets, pristine waters and the breath taking Sierra Mountain Range. A prized benefit of residing in Lakeridge is the private beach and dock referred to as “The Pavilion”, featuring a raised deck with gazebo, picnic tables and benches for a charming lunch or romantic sunsets. Are you an owner or resident of Lakeridge? Join your neighbors in this exclusive online forum and you will receive customized news, updates and a personalized newsletter so you can stay up to date on everything that is happening in Lakeridge. You are already fortunate enough to call this amazing community home so why not extend that benefit online? Join this exclusive online community and connect with your friends and neighbors like never before. Registration is free and easy so use the form on the right to get started! Not an owner or resident of Lakeridge? No problem! If you would like to get more information about purchasing in our community and seeing firsthand what makes Lakeridge such a special place, please complete the information request form. Please note, this is ONLY for owners and residents of Lakeridge. We will send you an email to confirm your eligibility and complete your registration for the website. Non-residents and perspective owners should use this form instead.